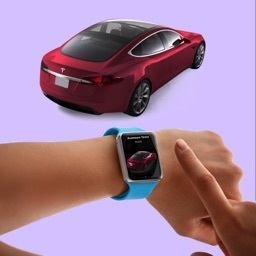 Summon Tesla - for Apple Watch by Ndili Technologies, Inc.
Summon your Tesla directly from your Apple Watch! 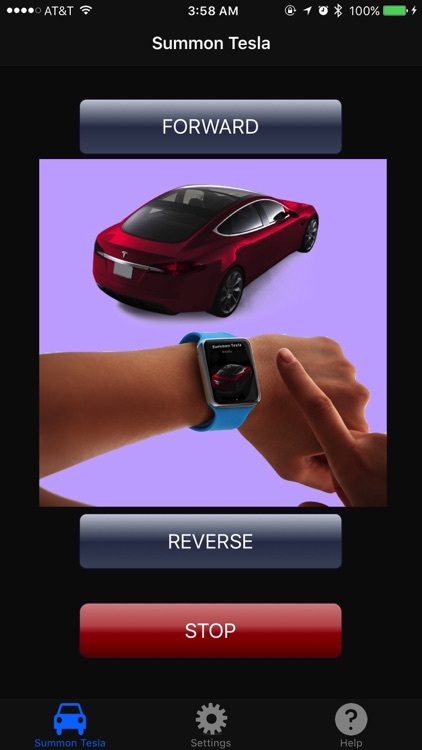 Summon Tesla is a powerful, easy-to-use app that enables you summon your Tesla directly from an Apple Watch. • Fast and near immediate response: issue your command and the app handles the rest. • Long range: works from anywhere on the globe! • Secure encrypted communication directly with Tesla. • Works with Tesla Model S and Model X. • Likely compatible with Tesla Model 3 (not yet tested). • Works with multi-vehicle accounts. 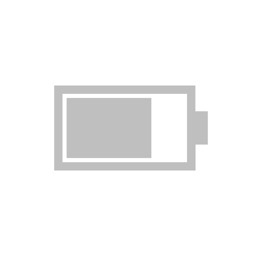 To summon, simply press the Forward or Reverse button from your Apple Watch App (or iPhone/iPad also). No need to wait: the app does the rest. • Ensure that your Tesla is capable of Summon. 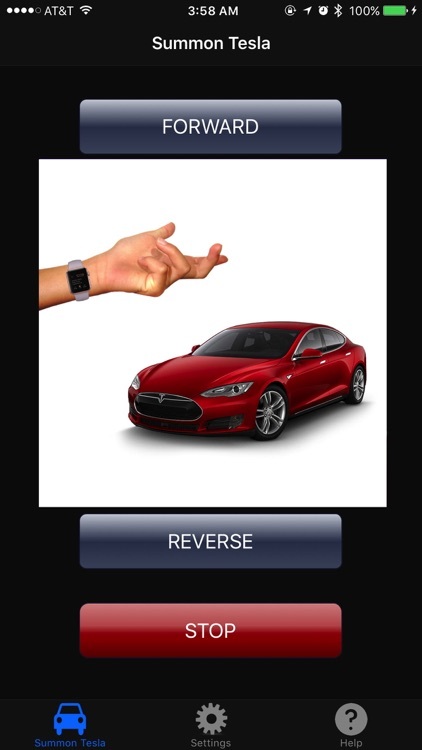 • Ensure Summon is enabled in your Tesla's settings. • Set to No the "Require Continuous Press" option under the Customize Summon settings of your Tesla. 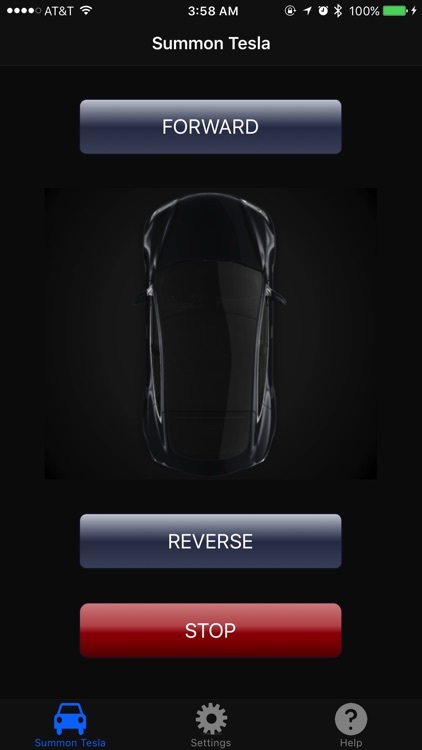 • Ensure your Tesla is configured for mobile access. 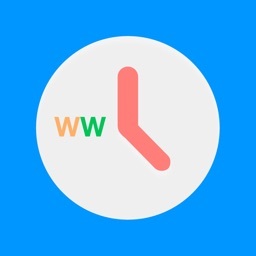 • Make sure your Apple Watch is in range, and connected to, your iPhone. • Also ensure that both your iPhone and Tesla have internet connection, either via a good strong wifi signal or via cellular. Summon Tesla is not-range limited. You can summon your Tesla from practically any where on the globe. With this privilege comes great responsibility: you MUST exercise caution when summoning your Tesla: make sure it is safe to move your Tesla before you issue a Summon command. Summon is designated for use in private property, and under clear and safe conditions only! 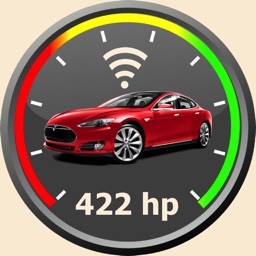 Summon Tesla communicates wirelessly with your vehicle. 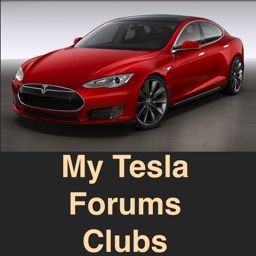 To use Summon Tesla you need to own a Tesla vehicle and have login access to My Tesla. 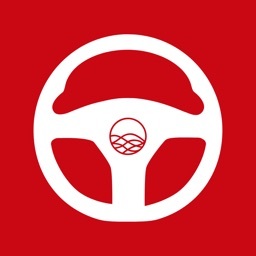 Login credentials are securely encrypted within the app and used solely to communicate with your Tesla vehicle via Tesla Motors, Inc. official vehicle telemetry servers. All communications are encrypted.